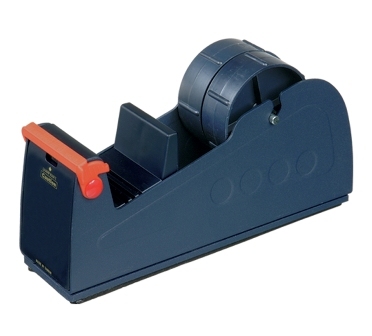 Two excellent quality metal bench tape dispensers, model BD50 branded by pro-series. These dispensers can be used for 1" or 2" tape (they each take up to 2 rolls of 1" tape, or 1 roll of 2" tape). These tape dispensers are extremely good quality and heavyweight, hence remain on the desk without moving. They can also be screwed into desks or benches, or to a wall, if desired. The dimensions of each dispenser are 23cmx8cmx13cm and the weight is 1.4kg. Each also has a blade safeguard.